The perfect size home and priced very competitively. This home on an oversized .8 acre corner homesite enjoys the ever popular open floor plan with views out the back across the spacious porch. Cozy den with a wet bar and fireplace off of the Great Room. Hardwood floors throughout first floor. Fivestar 6 burner gas stove, two ovens, one convection. Master bath with jetted tub and tumbled marble walk in shower. Huge bonus room with a full bath and steam shower. Large convenient walk in attic storage. All of this in popular Rose Hill with its amenities and low annual homeownersGÇÖ association fee. DonGÇÖt let this one slip away. Wow, where can you find a custom built home in a gated community for 120.00 a sq.ft when building costs for custom homes in the Lowcountry are reaching 300.00 and lot prices are soaring. This 4100+ SqFt home features a sunny open floor plan with plenty of private spaces for large or multigenerational families. The first floor offers a gourmet kitchen, living room, family room (or office) guest suite, master with flex room for possible gym/nursery. Two large guest suites on the second floor, complete with full baths. Two huge unfinished rooms ready your imagination! Screened Carolina room, extended 3 car garage & spray foam insulation. The perfect alternative to Sun City is just a short walk from the newly renovated clubhouse, pool, and tennis club. At 2,812 sq feet, highlights include excellent bedroom separation, an office, and a bedroom upstairs with full bath. Granite counters throughout, high ceilings, and newer appliances have this home move in ready. Storage galore in the kitchen, two separate walk in attics, and great closets give you room for all your stuff! The private backyard with 345 foot screened lanai is the perfect place to relax. Annual POA fees of only $2200 and diverse amenities make Rose Hill the place to call home! 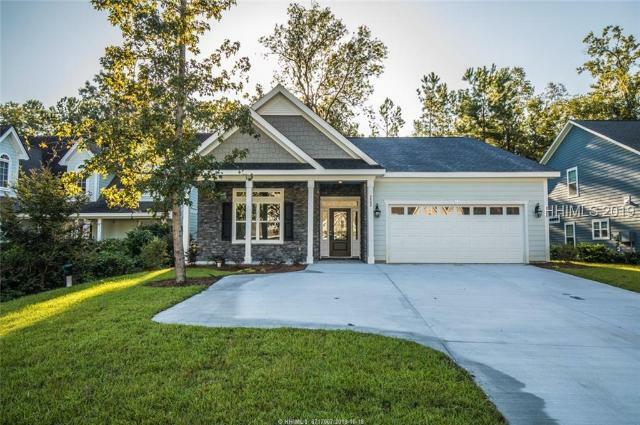 There is simply no better property on the market when it comes to serene Lowcountry living, with the peace of mind that comes with new appliances, water heater, HVAC, ductwork, roof- all within the last few years. Custom-built single-story home is ready for a second owner. Gaze out across the park-like setting that stretches away from you across your spacious lot, or enjoy the generous 1,960 sq. ft. within, beneath soaring cathedral ceilings. Rose Hill has fabulous amenities and is known the world over for its low density in ever growing Bluffton. Great value in best location. New Construction in Rose Hill. 4BR/3BA + sun room. Kitchen offers white craftsman style cabinetry, granite countertop, SS appliances, large b'fast bar & subway tile backsplash. Cozy, vaulted family room open to sunroom overlooking private, wooded home site. Hardwood floors in foyer, family, sunroom, kitchen & b'fast area. Wood tread staircase leads to guest suite includes large BR and full BA. Master BR offers large WIC, bath with 5ft. shower, double granite vanities & tile floors. Welcome Home! 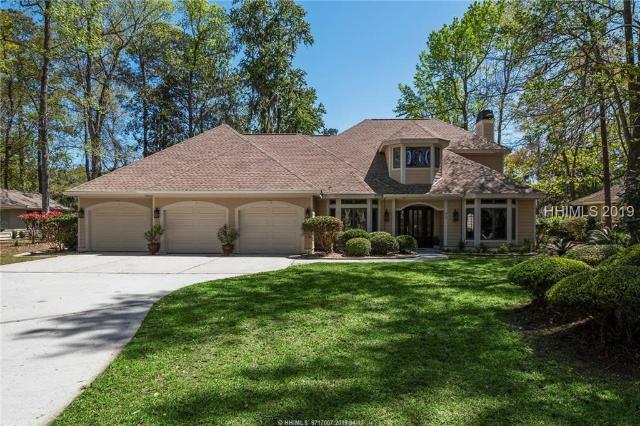 Beautifully cared for home located in Rose Hill Plantation 3BR/2.5 Bath Enjoy the 2 Car Garage: Patio with View of Golf Course; Large Driveway and beautiful views with this large lot. This home has Hardwood and Tile Floors.The Master Bedroom has a huge Walk in Closet with ample storage. This Community Offers Golf, Equestrian, Tennis, Swimming, 24hr Gated Security, Community Club , Deep Water Access with Boat Launch and much more. Beautiful open floor plan in Rose Hill. This home is move-in ready with gorgeous Heart Pine wood floors, stainless steel appliances, butcher block counter tops and more. Newer interior paint and carpet in guest rooms, appliances and roof replaced in 2016. YouGÇÖll love the amenities Rose Hill has to offer including the newly built clubhouse and this home is just steps to the pool, park and tennis courts. DonGÇÖt miss this turn key home! Unique to the market! 10.75 acres in the Club Gate section of Rose Hill Plantation...Build a private compound in this beautiful community or subdivide into 6-8 homesites for future development. Should purchaser not have alternate access to the property, Lot 27 in Club Gate can be purchased separately which would provide direct access from Club Gate Drive (.72 acre homesite / $79,000).